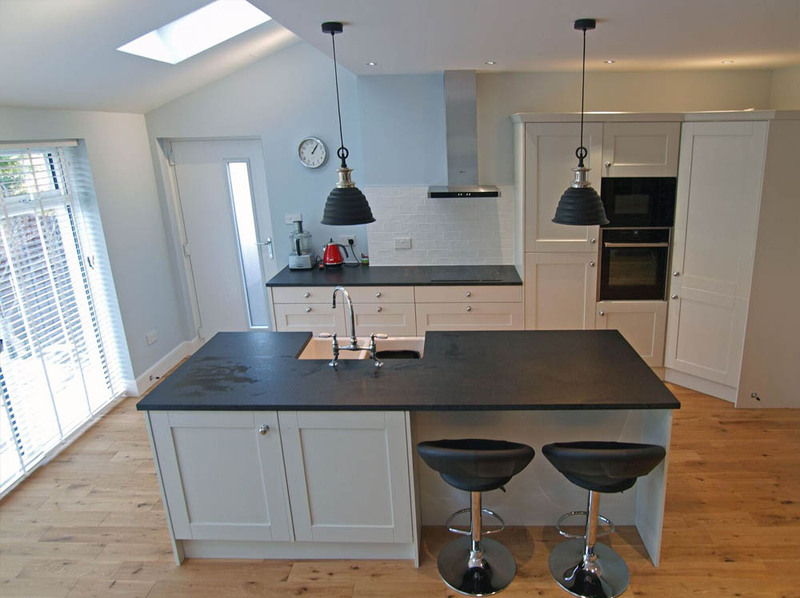 We are often approached by clients looking to build a large house extension. However, sometimes all that is required is a clever reorganisation of the existing space, and a small extension, as was the case with this project. 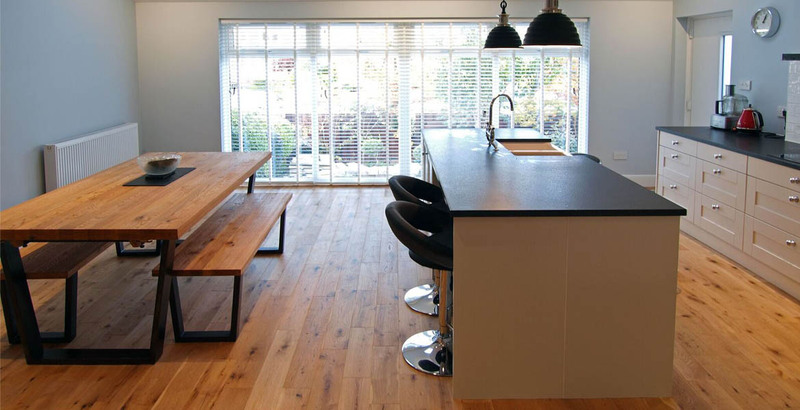 The existing Kitchen and Dining spaces were dark and unwelcoming, while the existing conservatory was an unusable space. 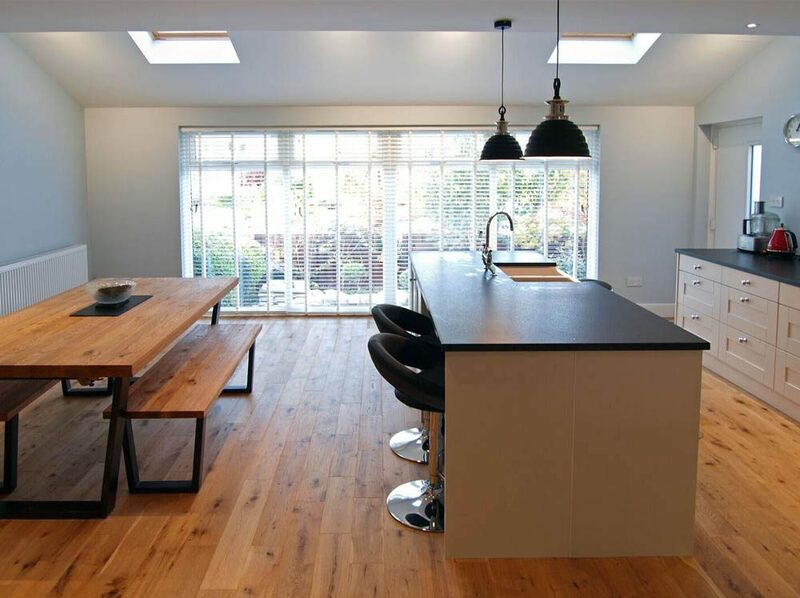 By removing the internal partitions, extending at the rear and installing large windows we were able to create a fantastic open plan Kitchen/Dining/Family space. 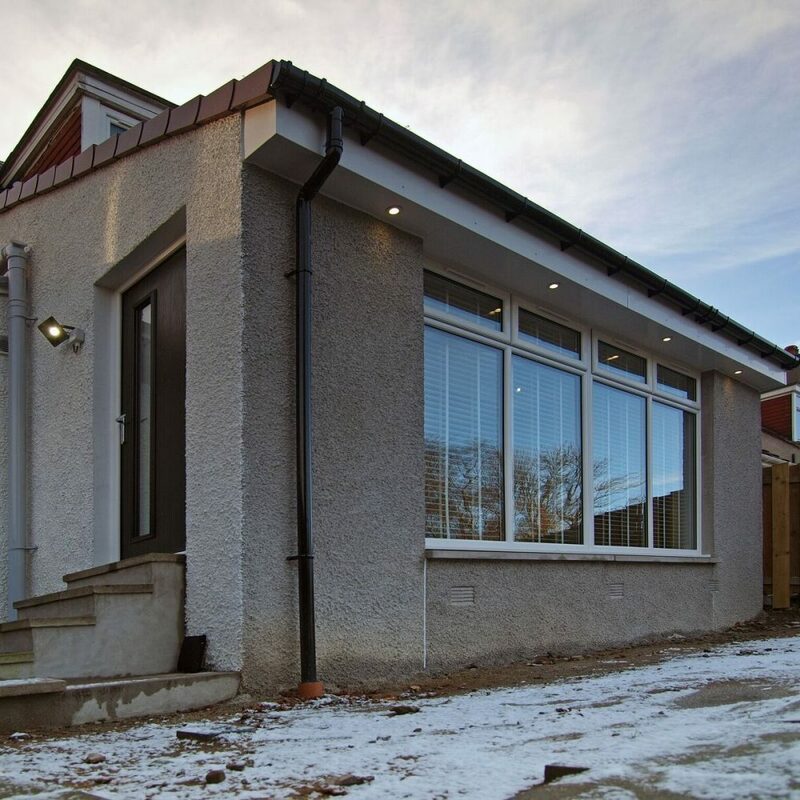 To complete the project a new Utility space was formed to the rear of the Garage, which was also re-roofed. Following completion of the Feasibility stage, McGregor Garrow Architects obtained the planning and building warrant approvals from the council. Following this we sent out arranged for 5 builders to submit a fixed cost tender for the works. After finalising the contract, with the chosen builder, we carried out regular site inspections and administered the contract.